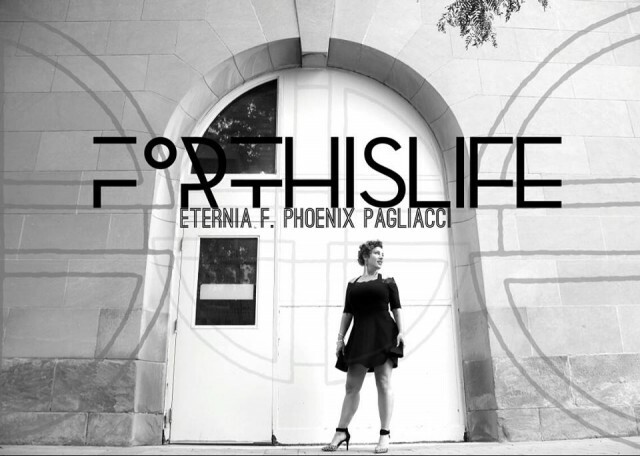 Eternia returns with her signature style of lyrical transparency in “For This Life”. Featured on Hand’Solo Records 20th Anniversary compilation Bassments of Badmen Vol. 3, the new single is a marked departure from Eternia’s dark and dusty sonic trademark. Reuniting with “Foul Child” producer A. Beck (aka Mr. Cincinnati), Eternia shares her spiritual journey over rich, rolling, ‘bump-it-in-your-whip’ production and enlists Phoenix Pagliacci to bless yet another Eternia offering with a victorious chorus, reminiscent of Lauryn Hill in the 90s. The unofficial video pays homage to Toronto’s Annual Manifesto Festival of Community Arts & Culture which has provided a major platform for Eternia, Phoenix Pagliacci and many other Canadian Hip Hop acts. The footage was captured during MNFSTO 2010 and 2013’s Ladies Cipher at Yonge & Dundas Square in the heart of downtown Toronto.